Web Aligner for Plastic Processing Machine, Web Guiding Systems are used to automatically guide all type of all type of flexible material of any width, under any load, at any seed. Web Guiding Systems which serves various application for all type of flexible printing, packaging & converting machineries. 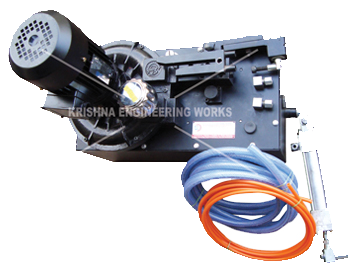 We Are Manufacturer of Rewind Trolley with Web Guiding System available with Edge Guiding, aligner, Tracking Roller Assembly etc..